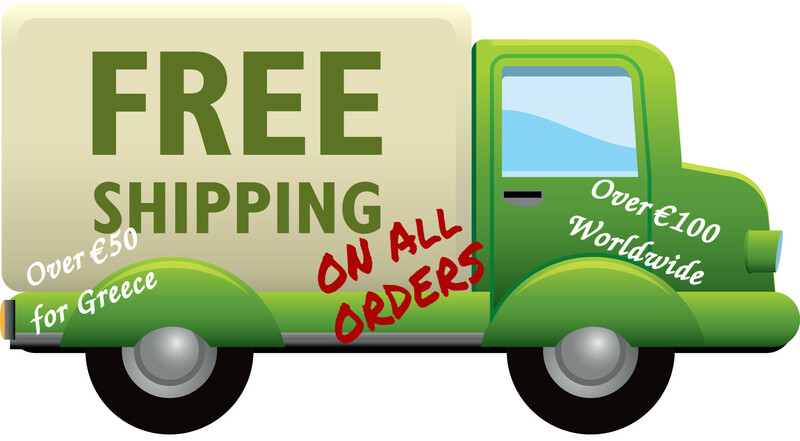 Free Shipping Worldwide on All Orders above €100. We Ship using First Class Registered Mail. In case you prefer another form of shipping, please Contact us for a Quote. Δωρεάν παράδοση σε όλη την Ελλάδα, για παραγγελίες μεγαλύτερες των €50 .